manage their clients’ road assessments. 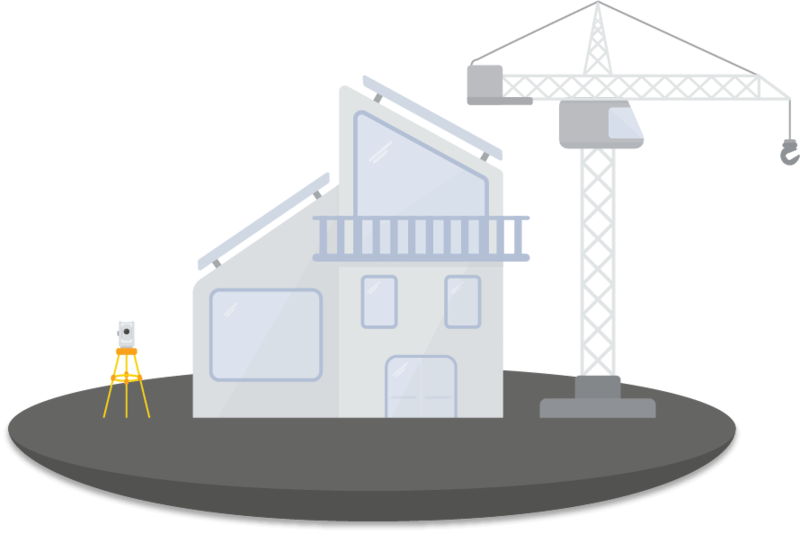 The Enterprise Platform enables you to create new assessment projects, track project completion progress, and manage all of your clients’ road assessments in one place. 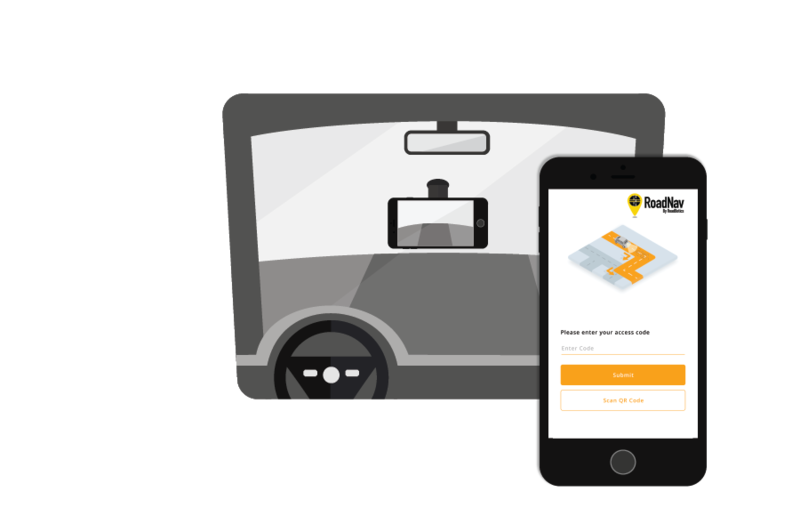 Enterprise Suite Partners can collect data with their own staff using RoadSense, our data collection app, and RoadNav, our turn-by-turn navigation app. 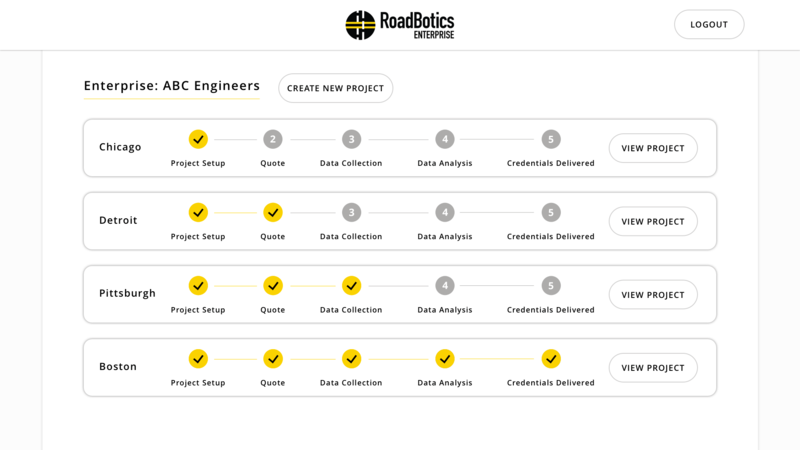 RoadBotics Operation Technicians can also collect your data for an additional fee. Support your municipal government clients with objective road assessments using artificial intelligence. Our project management platform to centralize all your road assessment projects. 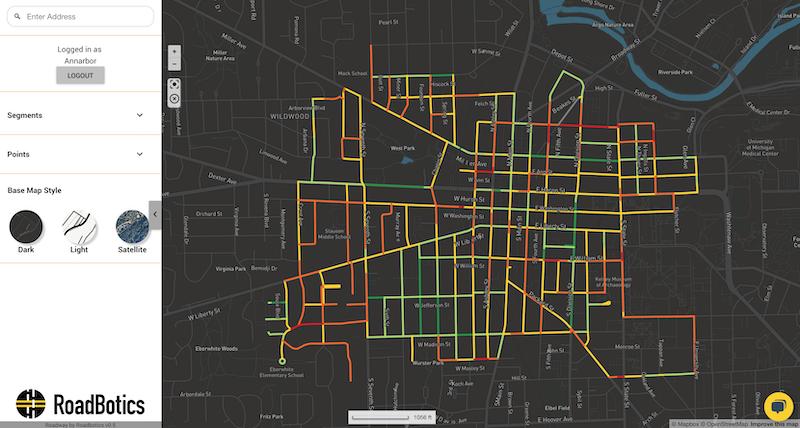 RoadSense is our easy-to-use data collection app that collects images of the roads. RoadNav is our turn-by-turn navigation app that provides simple directions for data collection. Enterprise partners receive discounted pricing from our listed prices for each project created. Objective 5 level rating of road surface conditions using our computer algorithms, trained to evaluate roads in a single perspective. Access to RoadWay, our browser-based map with road condition ratings and high-resolution images of roads every 10-ft (3 meters). GIS compatible shapefile of the pavement condition rating and CSV file of segment level data are optional. Onboarding and training to ensure successful collection of the data, delivery, and walkthrough of the assessment when ready. Interested in the Enterprise AI Suite?